Breathe in deeply. Hold it. Aaannd release. Feel better? Thank a seaweed. Yes, a seaweed, because about half of all our oxygen comes from that green or red stuff that so often annoys beach goers in the summertime. Dr. Lindsay Green-Gavrielidis of URI’s Department of Natural Resources sung the praises of the ignominious seaweed in a recent lecture at the Rhode Island Natural History Survey (RINHS). 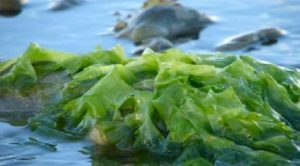 It turns out that the humble seaweed is far more important to Rhode Island than we thought, and deserves a lot more attention than it gets. “We should all be thanking an alga every day,” said Gavrielidis. She’s probably right. Seaweed is important enough to have a place in Rhode Island’s Constitution, she pointed out. The document, originally written in the 19th century, contains a passage stating “The people shall continue to enjoy and freely exercise all the rights of fishery, and the privileges of the shore… including… the gathering of seaweed…” Beyond that, seaweed has ecological and even commercial significance that should diminish some of the annoyance beachgoers may feel toward it. Gavrielidis said that seaweeds are consumed on a regular basis. 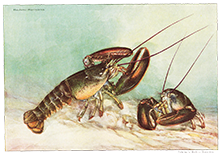 Not only are they eaten in their whole form (“When that happens, we call them ‘sea vegetables’; not many people like the idea of calling them weeds, for some reason”), but they are used in a host of other ways. “The aquaculture value worldwide is valued at $5.6 billion.” Derivations of seaweeds are also consumed as thickeners used in toothpaste, ice cream, non-dairy creamers, and more. Things such as shampoos and conditioners also contain seaweed, and even dissolvable stitches are made in part with seaweed. Ecologically, seaweeds are at the base of the food web, in much the same way that grass is on land, thus forming an essential source of nutrition for many animals. 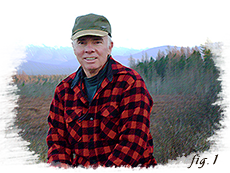 They also provide three-dimensional habitat for organisms that may wish to hide from predators. With so many uses for seaweed, Gavrielidis expressed concern about declining seaweed habitats, due in part to climate change. “Climate change is a reality in Narragansett Bay, and some of the most dramatic changes have been an increase in temperatures at the surface,” Gavrielidis said. She said that URI’s own fish trawl records dating back to 1959 reflect a 3 – 6 degree F. increase in surface temperatures since that time. “The most important factor that determines seaweed distribution is temperature. That is most important to those seaweeds living on the edge of their temperature range.” As the temperatures rise, the seaweeds will migrate north or south as they seek their ideal temperature range. URI has been monitoring seaweed blooms since 2005-2006, according to Gavrielidis. 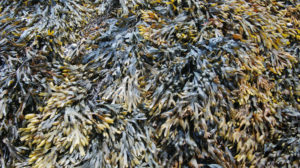 “Rhode Island has a really long and interesting history of seaweed use. Our seaweed communities are definitely changing, and there are a lot of reasons they’re changing. Further monitoring and research are required to determine (a) the types of changes that are taking place; and (b) what the consequences of those changes are on Narragansett Bay.” Gavrielidis recommends an increase in monitoring locations, along with research in areas such as seaweed aquaculture, already taking place in a half dozen locations. So the next time you find yourself slipping through a mat of drying seaweed, take a deep breath, relax, and thank Gavrielidis for staying on top of the seaweed situation.